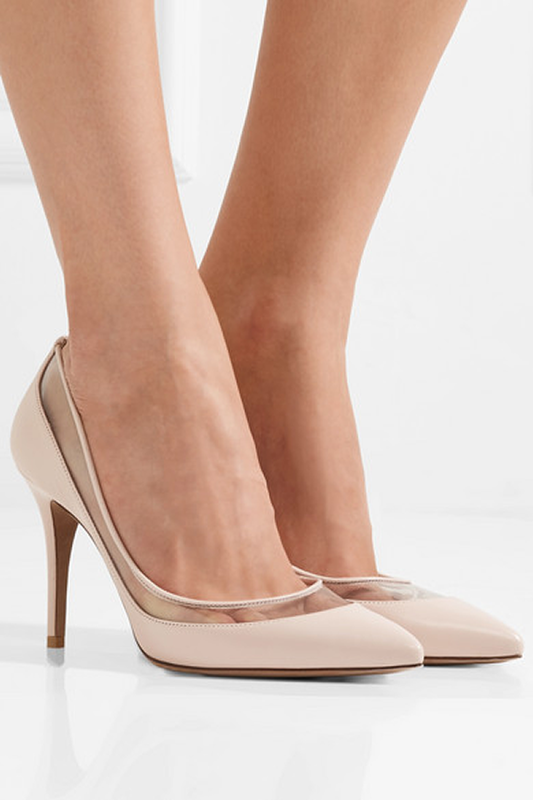 Glowy: Shoe Of The Day: Glassglow PVC-trimmed Leather Pumps. Shoe Of The Day: Glassglow PVC-trimmed Leather Pumps. How ya'll doing? yea i know it's been a while and i'm so sorry about that. i've been going through the good,bad and ugly phase, so i decided to take a little break from the blog to set things straight and by God's grace, it's getting much more and yaaaaay am back and won't be going anywhere. 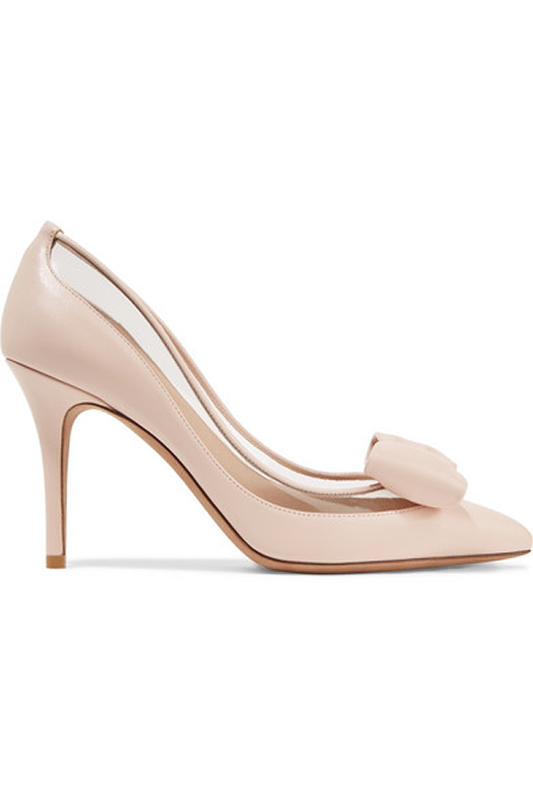 For today's shoe of the day, we have this cute Valentino Glassglow PVC-trimmed leather pumps which features a Pastel-pink leather, court shoe style, slip and a heel that measures approximately 90mm/ 3.5 inches. Valentino first introduced us to its collection of 'Glassglow' pumps at the label's Spring '18 runway in Paris - and while there are so many variations to choose from , this pastel-pink version sure stands out. 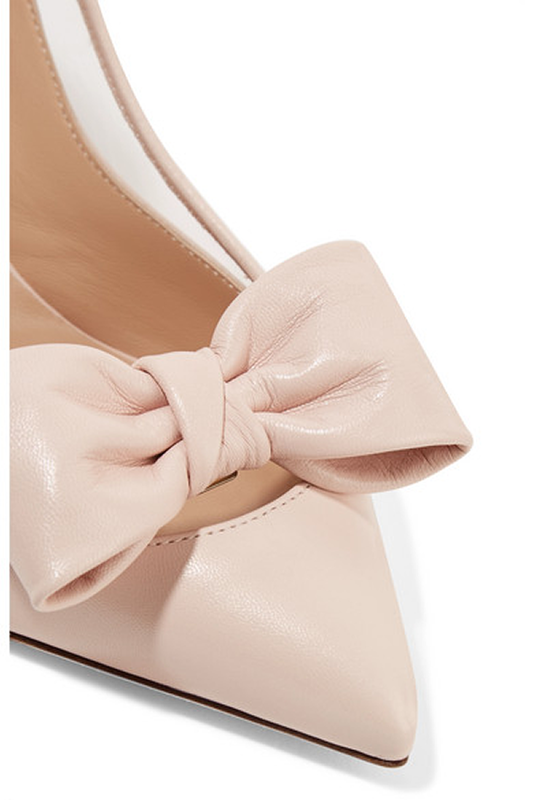 Made in Italy from supple leather, they're framed with clear PVC trims and are topped with a dainty bow that can be removed for a more streamlined look. What a beautiful and classic shoe! Beautiful models of shoes, would wear them all. Have a great day! Very gorgeous shoe...have a great day too.. I totally agree with you dear..